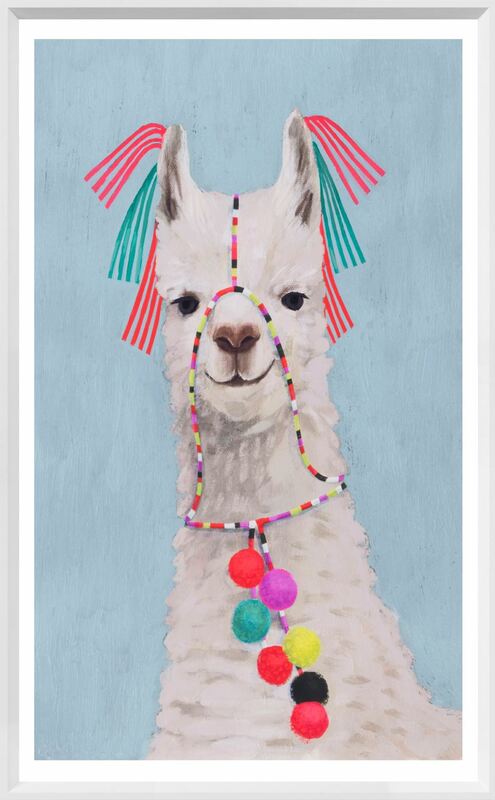 Each of these playful Llama prints is sure to make you smile. Their quizzical faces are adorned with colourful headgear of tassels and pom, poms and set against a powder blue ground. Guaranteed to light up your space and your day.